Do you want your bathroom to stand out? Do you want a stunning design like you see in the showrooms? 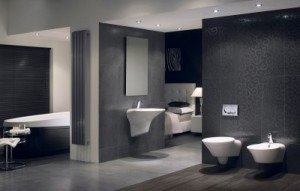 For luxury bathroom design in Sandbanks, look no further than Stile-It. Everyone has their own style, and with our expertise, we can turn your ideas into a luxury, custom-made bathroom. We have 15 years’ experience in designing luxury bathrooms for customers throughout Sandbanks. Our Check-a-Trade accreditation means that clients choose Stile-It in the knowledge that they will receive an excellent standard of customer service and workmanship. Whether it’s a bathroom, en-suite, or wet room, we have the expertise to transform it into a place of luxury. There is no job too big or small for Stile-It, as our team of skilled tradesmen can replace your current bathroom suite or carry out a complete refurbishment if required. Whichever you decide, you can choose the products, colours, and layout, and leave the design to us. Our comprehensive bathroom service covers everything from design to installation, but it is the finishing touches that turn an average bathroom into something luxurious. As tiling specialists, we can remove, replace, and lay tiles, as well as disposing of old ones. You can choose from our selection of quality tiles which come in a range of finishes including porcelain, stone, ceramic, and marble. With Stile-It, you can achieve your luxury bathroom design no matter what budget you’re on. Due to the discounts we receive from trusted suppliers, we can offer the most competitive prices in the Sandbanks area. Additionally, we offer customers a 10% discount on all products purchased when you choose our bathroom fitting service. To ensure the end result is exactly as you’d imagined, our friendly bathroom design team will conduct an initial consultation with you to gain a full understanding of your ideas and preferences. The level of care we put into each project along with the quality of products we use means that you will not find better value for money in Sandbanks. Head over to our gallery for examples of the luxury bathroom designs our team have created recently. For the most luxury bathroom designs in Sandbanks, contact our team on 02380 633966 or info@stile-it.co.uk.